Professional whitening is a fantastic way to quickly enhance your smile. You can change the color of your teeth up to 10 shades and erase the effects from years of drinking coffee, tea and red wine. In addition, you’ll have a set of custom-made whitening trays that you can use for many years. Most people need to touch up their results about once a year, which you can easily do by simply picking up a refill of professional strength whitening gel after your initial treatment. Cosmetic bonding is the use of white filling material (the same material used for tooth-colored fillings) to repair small chips, cracks or gaps. It can also be used to repair any cavities on the front teeth and restore a beautiful, healthy appearance. Also, bonding can be done in just one appointment! 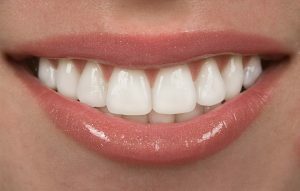 Porcelain veneers are an outstanding solution for many cosmetic issues. Strong, wafer-thin, “shells,” they’re adhered to the front of the teeth to give them a whole new appearance. A smile makeover does more than just change your smile – it can change the way you carry yourself in every area of life. The best way to know which of these procedures will benefit you the most is to schedule a consultation with a dentist in Fort Worth who has advanced training and years of experience. That way, you can discuss your goals and get a treatment plan with one or several of these procedures that will work together to give you the final result you’re after. Most people aren’t born with a smile they love. But with cosmetic dentistry, you can get a whole new smile – and the confidence to go with it – more easily than you think! Dr. Renee Corbitt is a general, restorative and cosmetic dentist in Fort Worth who gets immense professional satisfaction from helping her patients feel great about their smile. She offers a variety of cosmetic treatments to treat any type of smile imperfection. If you’d like to learn more about how you can enhance the appearance of your smile, she can be reached via her website or at (817) 294-8821.